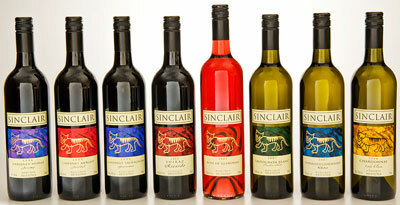 The Sinclair wines are mainly made in the classical styles. One exception is the Sinclair Rose of Glenoran which was blended to accompany Asian style food and popular seafood dishes such as chilli mussels. Well chilled it is also an ideal drink for the Australian summer. Most red and white wines can be decanted regardless of age and whether or not sediment is present. Aerating wine just prior to serving adds complexity and enhances wine flavours.